Working For the NYC DOE is, for the chosen few, a very good job. You can do very little work, if any at all, and get paid a lot of money. Below you can see how good it is at the NYC DOE for a select number of people, in terms of making high salaries. “It is essential that we maintain competitive salaries to attract the best talent to help run the nation’s largest school system,” spokeswoman Devora Kaye said. Carmen Farina is the "best talent?" Notice of the ceremony and press event to follow. 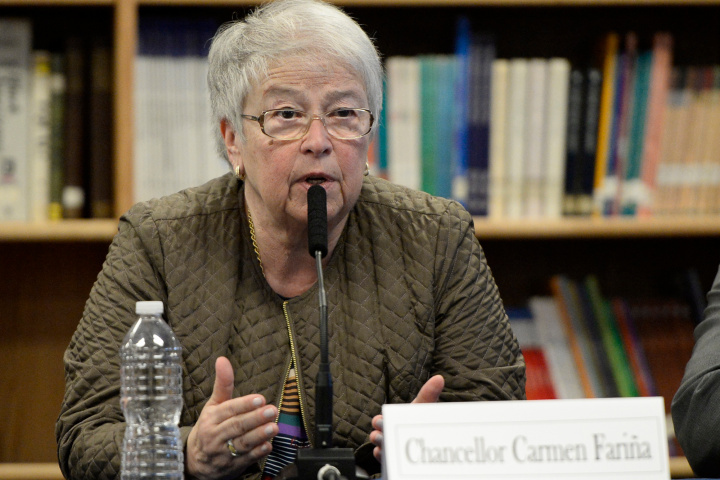 The Department of Education’s top earner is no surprise: Chancellor Carmen Fariña, the longtime educator at the helm of the nation’s largest school system. 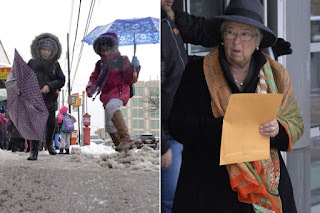 Newly released pay records show that two of Fariña’s most trusted deputies are not far behind: Dorita Gibson, Fariña’s second in command, and Corinne Rello-Anselmi, the deputy chancellor for special education, both make more than $200,000. But the fourth highest paid employee may come as more of a surprise. Harlem Superintendent Gale Reeves, who oversees one of the city’s 32 local districts, is set to take home $204,000 — a salary that surpasses all other members of Fariña’s executive leadership team, including four deputy chancellors, the department’s chief finance officer, and its top lawyer. Some managers have retained high salaries even after their responsibilities have shrunk. Reeves is the highest-profile case: Her official job title, “regional instructional supervisor,” is a relic of the Bloomberg administration, which created that high-ranking position for people managing multiple districts. 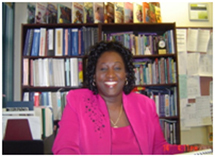 That title was eliminated in a later round of restructuring, and Reeves became the superintendent of only Harlem’s District 5, a job she’s held since. Parents in the district have clashed with Reeves for years, and began airing their frustrations publicly in recent months. In August, the district’s parent council spent much of its meeting criticizing Reeves for keeping important information about their schools from them and hiring principals without input from parents or teachers, though a few speakers defended her. Reeves did not respond to multiple emails seeking comment. 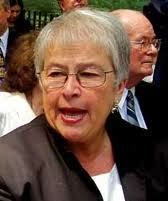 Fariña’s salary is still relatively low. 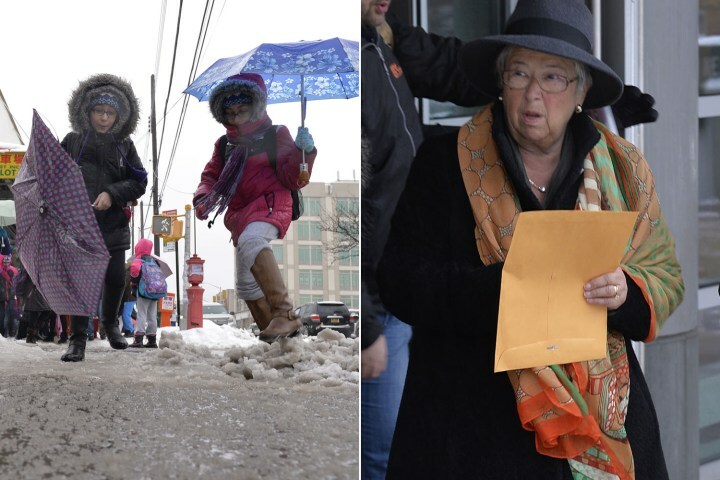 Fariña now earns $222,000, which is less than many other big-city school chiefs make. Los Angeles’ Ramon Cortines makes $300,000, and Boston’s Tommy Chang makes $257,000, for example. One in five central employees from the Bloomberg administration left after de Blasio took office. Just under 300 of 1,500 nonunionized employees left the department between January 2014 and May 2015. That includes the high-profile departures of top Bloomberg deputies, but is a fuller picture of the churn that came as a result of the mayoral transition — and shows that four of five managers chose to stick around. The department’s managers have received more than $8 million in raises since 2013, records show. There are now nine people who earn more than $200,000 a year, up from four in 2013, and 821 people who make $100,000, up from 614 in 2013. Some of those raises came from a 4.5 percent boost that de Blasio gave to eligible managers across all city agencies earlier this year — the first increase in their base pay since 2009. Other raises came with new responsibilities. The managers with the biggest salary increases since de Blasio took office are Elizabeth Rose, now the deputy chancellor for operations, whose pay rose from $116,550 to $187,000, and Sophia Pappas, who is head of the city’s pre-kindergarten programs and whose salary rose from $115,000 to $167,321. Other high-ranking officials who saw big raises were Anna Commitante, who now oversees curriculum and teacher training and whose pay went from $166,000 to $191,000, and Ursulina Ramirez, the chancellor’s chief of staff, whose pay rose from $163,000 to $187,000. Department officials said salaries are determined by a combination of factors, including seniority, previous salary, and education.